Real Magic at the Point of Sale! 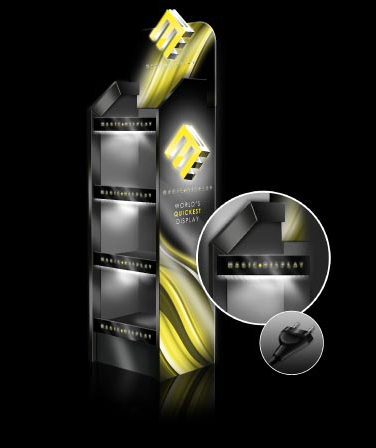 Magic Display is the first fully automatic product holder on the market. A multi-shelf cardboard construction emerges within just a second and is ready to be loaded with products. 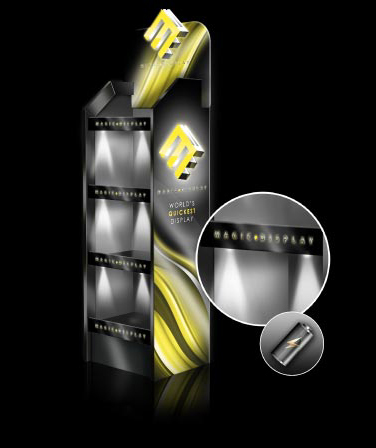 Due to its automatic construction, Magic Display ensures 100% safety with correct installation. 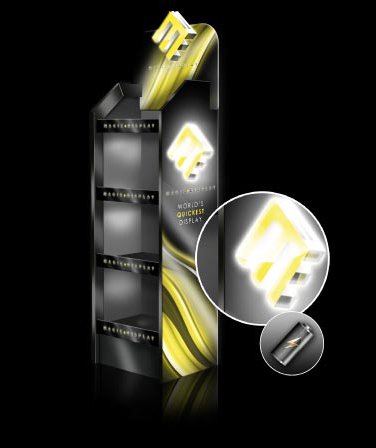 Magic Display fits within a small box when folded, providing significant transport cost reductions. Flat transportation also provides protection from damage during transportation. 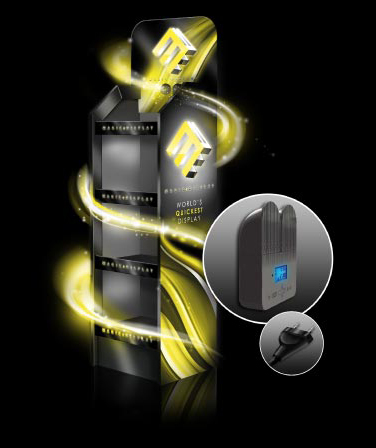 Magic Display offers countless customisation adjustments to suit individual needs. 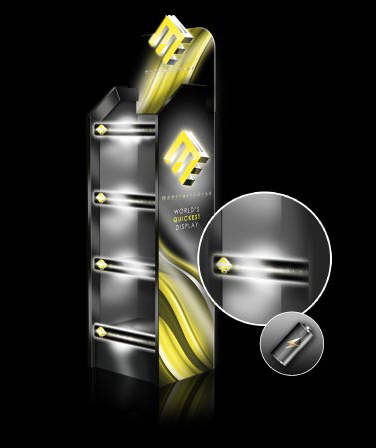 The light under each shelf increases the visibility of exposed products. 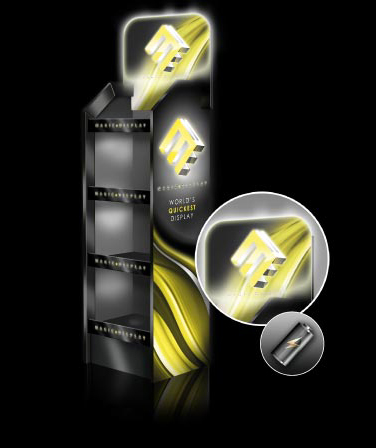 The flashing sides, header and shelf edges boost attractiveness of the display and catch customer attention at the point of sale.